If camaraderie was a prerequisite for the A Thousand Clowns cast, actors Nick Zadina and Ben Adams certainly take their characters to a whole new level off-stage. 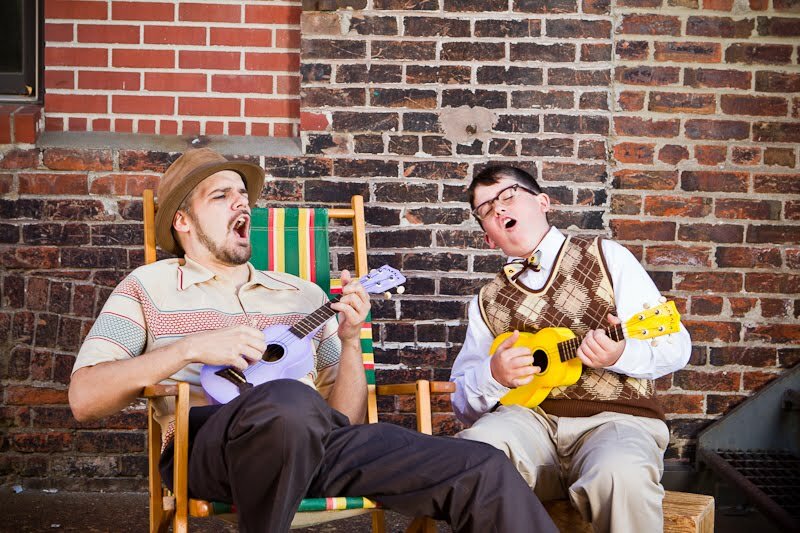 At a recent photo shoot, Adams and Zadina joked with each other, sang together and radiated a bond not entirely different from the ones their characters share. 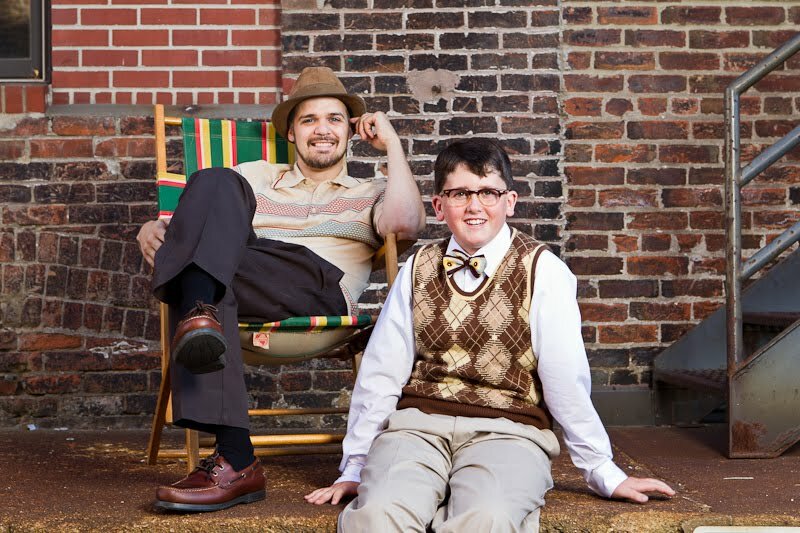 In this upcoming Omaha Community Playhouse production, Zadina plays Murray, an oddball uncle who is required to change his way of life to accommodate his nephew Nick, played by Adams. Recently, the acting pair shared their experiences as actors, their inspirations and some embarrassing stories. Adams happily recounted various embarrassing moments in his acting career, most of which involved falling, slipping or dropping things. 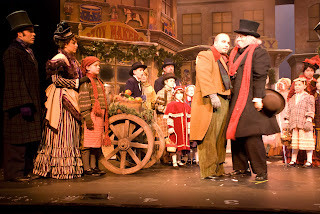 In a scene in A Christmas Carol, Adams was in a dance sequence where he nearly fell into the orchestra pit and split his pants open. A hero who inspires Adams is Wilma Rudolph, an athlete who beat polio as a child and became one of the fastest women in the world in the 1960s. He has the belief that everything will be all right in life if we apply ourselves like Rudolph did. Adams attends Beverage Magnet School where he is involved in show choir. In his spare moments, he likes to build models and read a lot of books. 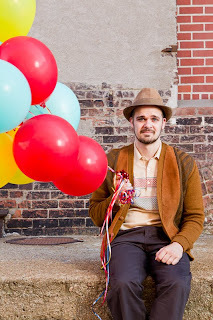 When he grows up, Adams has endless dreams of being a kindergarten teacher, actor, director, artist and editor, among other things. Nick Zadina has an impressive acting résumé, but didn't begin acting as a child like Adams. After admitting his lack of athletic skills, Zadina said that he found his calling when he began acting as a senior in high school. 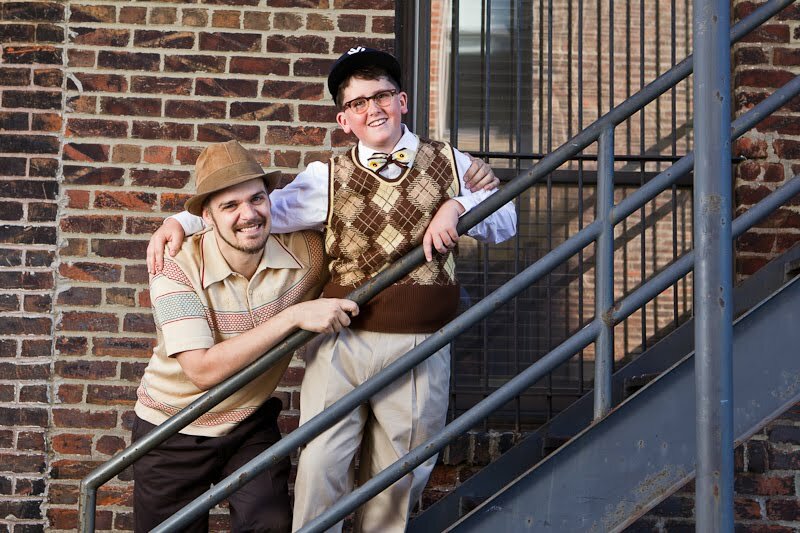 He said he felt like he fit in, and this led to his participation in over 100 theatre productions since then. His proudest moment as an actor was his starring role in the one-man play I Am My Own Wife, in which he played over 30 characters. Zadina even had the opportunity to act in front of the playwright of that production, Doug Wright, at the Great Plains Theatre Conference. You won’t find Zadina in any old role, as he aims for roles in which he can be bold. As for A Thousand Clowns, he admitted that he can relate to his character Murray’s philosophy. Zadina finds inspiration from his wife, Erika, and Omaha Director Kevin Lawler, who was the first person to cast him in 1997. With many years of acting under his belt, Zadina admits to many embarrassing stories, with his clumsiness on stage being his number one nemesis. He described a humorous experience where he was running on stage during a dress rehearsal, and fell not once but twice while wearing a pair of new slippery shoes. Zadina is the artistic director of R.E.S.P.E.C.T.2 Company, and is currently in school to get his Master’s degree in counseling. He also works at Boys Town National Hotline and dabbles with Magic cards in his spare time. 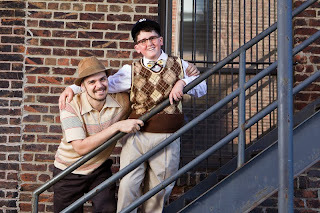 Adams and Zadina can be seen on stage in A Thousand Clowns at the Omaha Community Playhouse in the Howard Drew Theatre October 22-November 21. 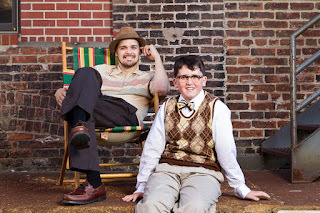 For tickets, call (402) 553-0800, visit www.omahaplayhouse.org or visit the Playhouse Box Office at 6915 Cass St. The Omaha Community Playhouse is the perfect place to have your holiday party. Enjoy the festive decorations and holiday atmosphere followed by a production of A Christmas Carol or Yesterday and Today—the all-request Beatles show. Need more reasons? 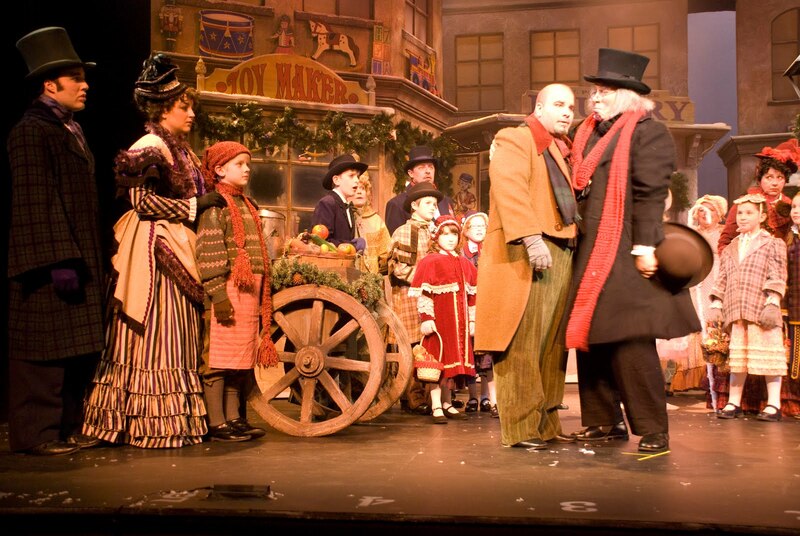 1) Get into the Holiday Spirit BEFORE the show. 2) Custom parties for your friends, family or coworkers. 3) You make the reservation; we’ll take care of the details. 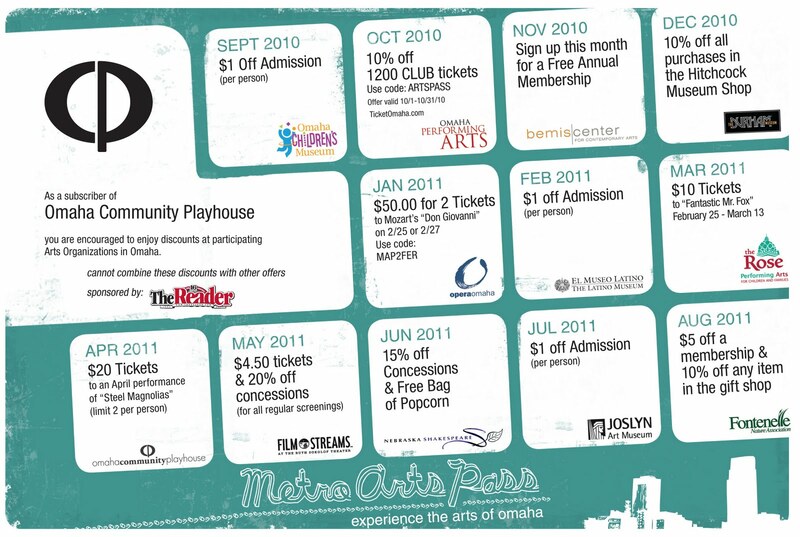 4) Discount tickets for parties of 15 or more. 6) You can eat, drink and be merry. 8) Our halls are already decked. 10) Two words: cocktail hour. 11) You can exchange gifts before the show. 12) We celebrate more than twelve days of Christmas. 13) Arrange a behind the scenes tour. 14) You can have it catered. 15) Reserve early and receive premium seating. 17) We’ll clean up the wrapping paper. 19) Jack Frost is NOT invited. 21) Invite Santa Claus to your event. 22) Last year, you burned the fruit cake. 23) After dinner you can walk to the show. 24) We put the Ho Ho Ho in dinner before the show. 26) Have carolers sing to you. 27) Smaller appetite? Have hors d’oeuvres or lunch instead of dinner. 28) It’s the most wonderful time of the year. 29) We don’t have a naughty list. 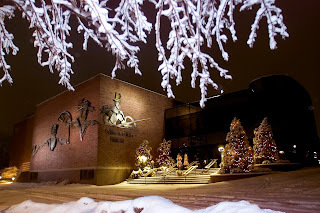 30) Enjoy a night of great theatre. 31) A gift the whole family will love. 32) Our nights really aren’t that silent. 34) Spend time with your loved ones. 35) Good time guarantee. After 35 years, we know how to throw a party! The 35th year of our annual holiday classic, A Christmas Carol, or our Beatles request show, Yesterday and Today, will once again put you in the spirit of the season! Select dates are available for a pre-show dinner or cocktail reception. Have your company party, family dinner or get together with friends to enjoy incredible scenery, beautiful costumes and melodious music at the show. For reservations, group tickets and rental rates, contact Megan Karbowski, Director of Sales, at (402) 553-4890, ext.147 or email mkarbowski@omahaplayhouse.com. 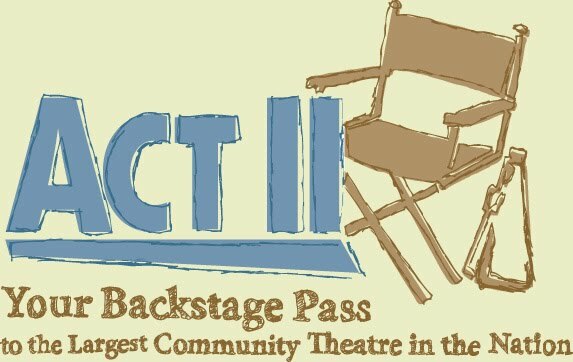 Get into the spirit of the season at the Omaha Community Playhouse for a fun afternoon in a festive holiday setting on Saturday, November 20, when Act II presents a Holiday Tea & Fashion Show. After enjoying a traditional tea by Liz’s Cup of Tea, guests will experience a unique fashion show in the Howard and Rhonda Hawks Manistage Theatre featuring Fashion of Christmas Past, Present & Future with vintage clothing furnished by Yesterday’s Lady and original designs created by Sabrina Jones Designs. The Omaha Community Playhouse is excited to announce 21 & Over: 21st Century Plays for a 21st Century Audience. 21 & Over includes a line up of staged readings of contemporary works for a mature audience. The readings will include simple, suggested technical elements and moments of physical blocking. In addition to the staged readings, OCP will also host select guest artists and hold special events. The performances and events are free and open to the public with an opportunity for donations. No tickets or reservations are necessary. Boom is the first production to kick off the season on Oct. 25. A graduate student’s online personal ad lures a mysterious journalism student to his subterranean research lab. But when a global, catastrophic event strikes the planet, their date takes on evolutionary significance in this epic and intimate comedy. Will they survive? What about the fish in the tank? Something is about to explode. at Omaha Performing Arts. 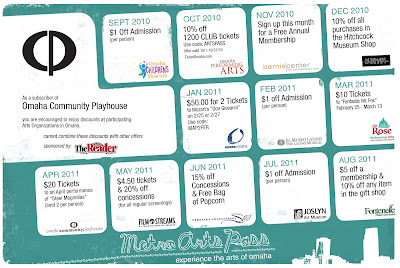 Use the code ARTSPASS at Ticket Omaha. 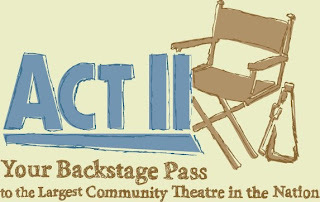 ACT II is off and running on what promises to be a fun-filled year of events and activities. On Monday, September 20, ACT II gathered at historic Joslyn Castle for the annual Fall Kickoff Luncheon. The highlight of the luncheon was the entertainment from Footloose, The Musical featuring cast members Paul Hanson, Bailey Carlson, Courtney Stein and Analisa Swerczek. It is these little glimpses of the productions that make so many of the ACT II events unique. Other events that offer the same kinds of glimpses are ACT II’s Behind the Scenes Events. The first of these is Thursday, October 14, 6-7:30 p.m. for the featured play A Thousand Clowns. Join ACT II for hors d’oeuvres and wine and meet director, Amy Lane and some of the cast. The price is $20 per person. For more information about this event or any other ACT II events, contact the Development Office at (402) 553-4890, ext. 145.